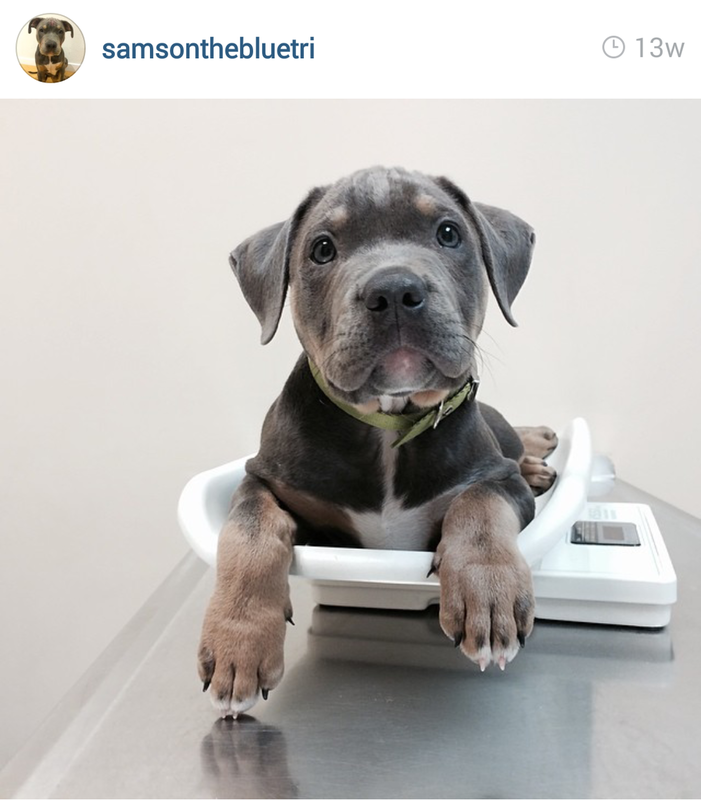 The 45 Absolute Cutest Pit Bull Puppies on Instagram! I've scoured all over Instagram to bring to you some of the cutest Pit Bull puppy pictures ever and I've compiled a long list of adorable pups. If you already love Pit Bulls you will fall in love all over again and if you don't, well it will be impossible to not crack a smile after peering into the eyes of these tiny heart breakers. 1. CAN I SKATE WITH YOU? 10. CAN YOU PLAY WIF ME? 16. SO YOU SAID WE'RE GOING TO THE DOG PARK RIGHT? 18. CAN MY FWIEND COME WITH ME? 19. I JUST SAW A FISH IN DERE ! 26. DO I HAVE SOMETHING IN MY TEEF? 37. DID YOU SAY "WALK" ? 39. LOOK WHAT I CAN DO! 41. WEIGHING IN AT : ADORABLE!